It looks like the fight is on between the two tech giants, who have begun the first leg of a race to build out an aerospace-based internet infrastructure over Africa. Two thirds of the world's population still lacks access to the internet, mainly due to lack of infrastructure and difficulty reaching remote areas. The idea behind these company's efforts is to overcome the geographical difficulties of deploying network backbone, using easily replaceable and energy efficient aerial craft that broadcast signals traditionally transmitted by satellites. 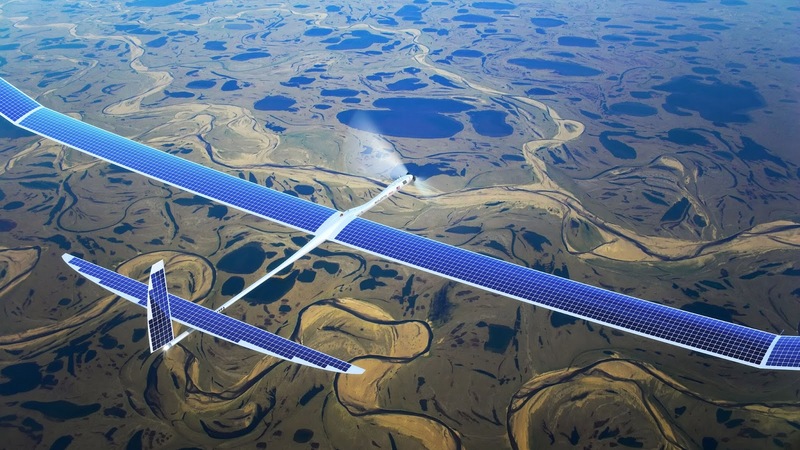 Originally reported by TechCrunch, Facebook is said to be in talks with Titan Aerospace, a manufacturer of unmanned aerial vehicles, for the manufacture of up to 11,000 Solara drones, powered through Solar Energy with 60 months up-time. This could lead to the manufacture of 11,000 drones earmarked for Africa. This effort is also being supported by other founding members including Mediatek, Qualcomm, Nokia, Ericsson, Opera and Samsung. Google's Project Loon similarly aims to take advantage of aerospace by releasing 30 balloons into the stratosphere where they would remain at a geostationary positions, providing 3G internet to isolated parts of the world. Will the future of internet infrastructure be balloons or drones? Are we even comfortable with the idea of these sorts of aircraft constantly hovering overhead? Let us know what you think.